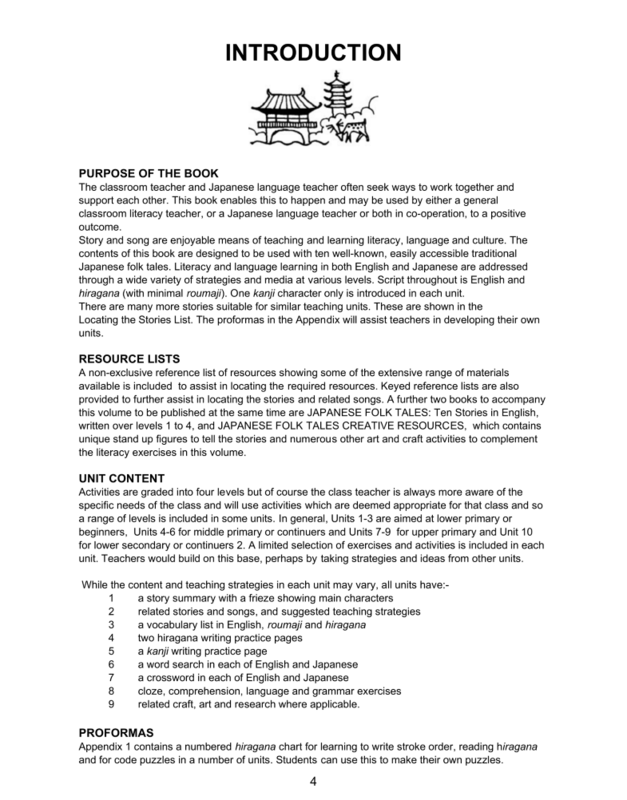 This book provides teachers of both English and Japanese with literacy exercises for Japanese traditional stories. 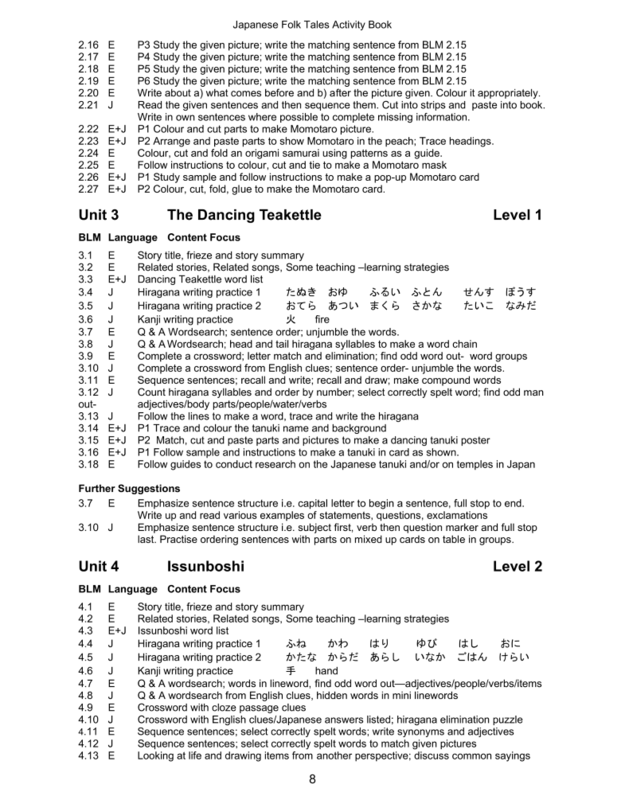 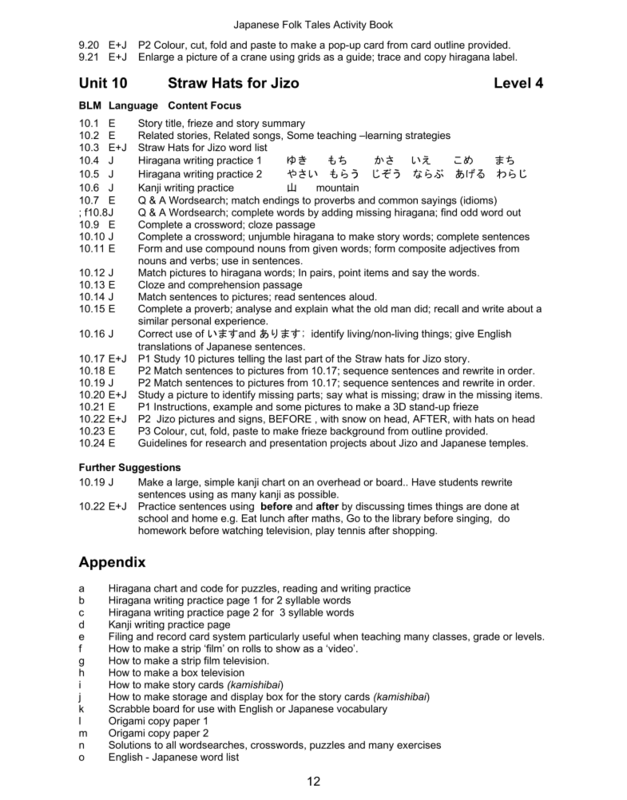 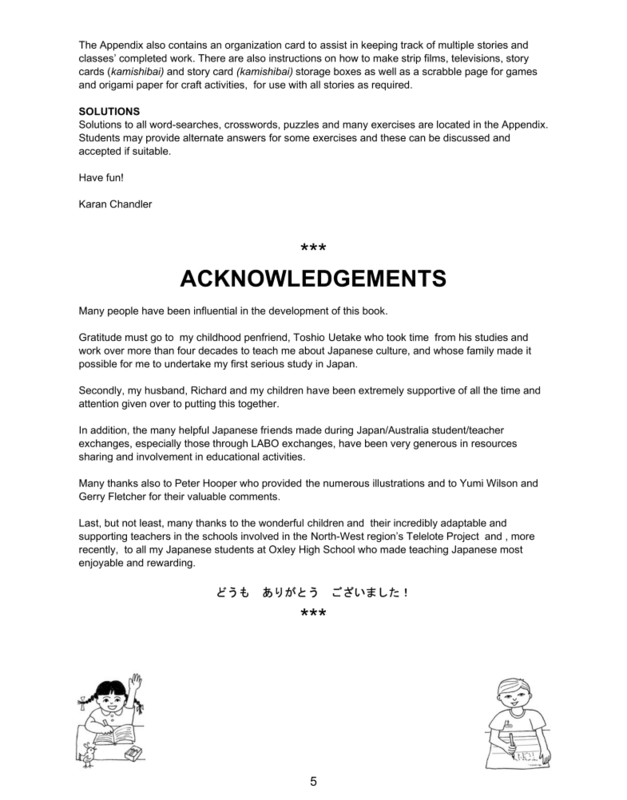 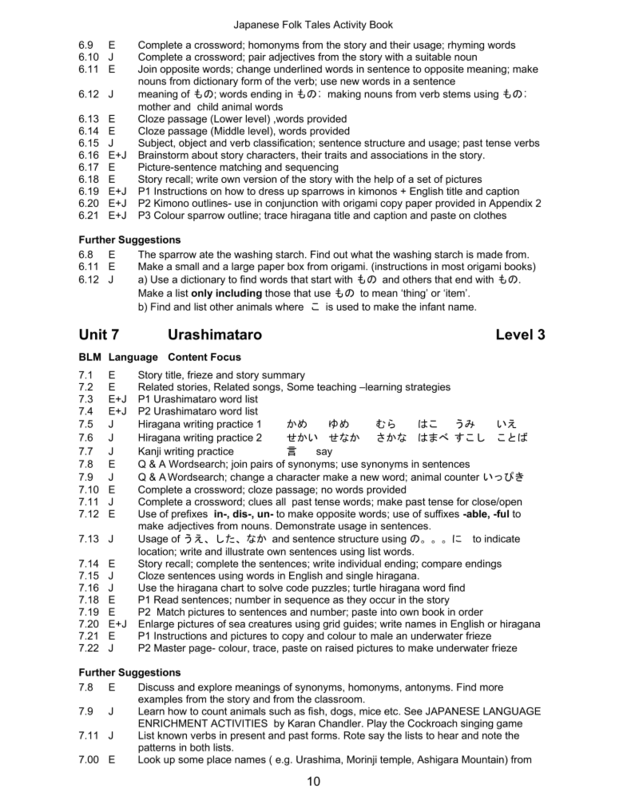 The general K-8 classroom teacher is able to support and follow-up/complement the Japanese teacher's work (and vice-versa) while addressing English literacy needs. 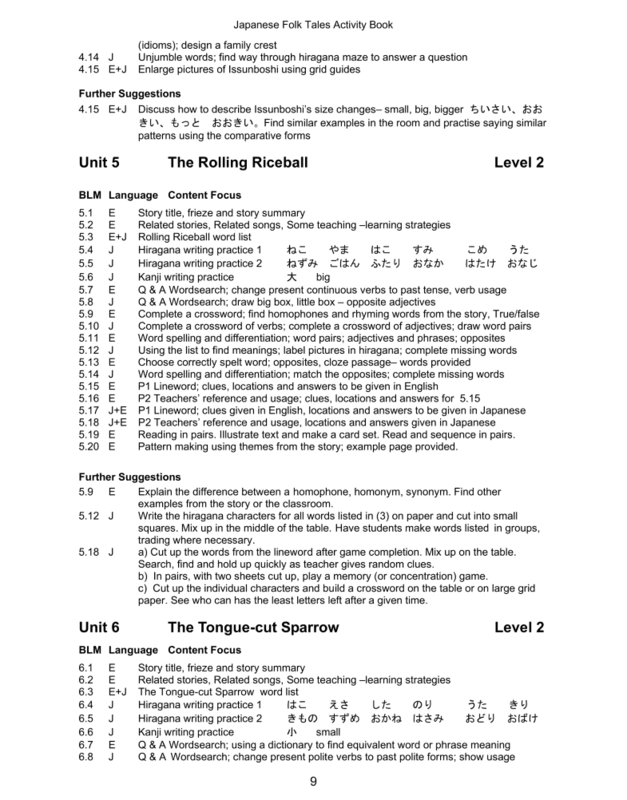 The focus is on enjoyment in literacy across all KLAs and incorporates culture, language, and literature in easy to use, graded exercises. 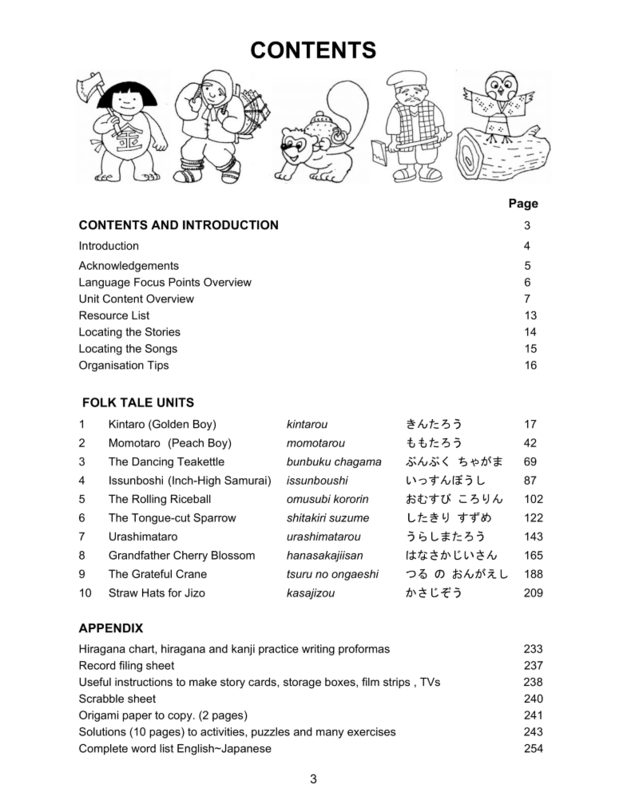 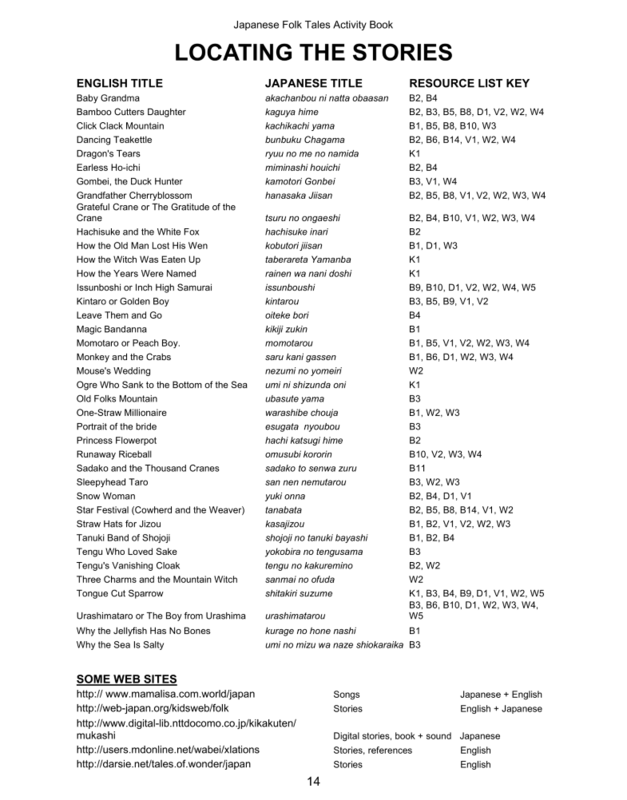 Both Japanese Folk Tales: Ten Stories in English and Japanese Folk Tales Creative Resources are designed to use with this book, but all books can stand-alone; however, there is no other book like this on the market. 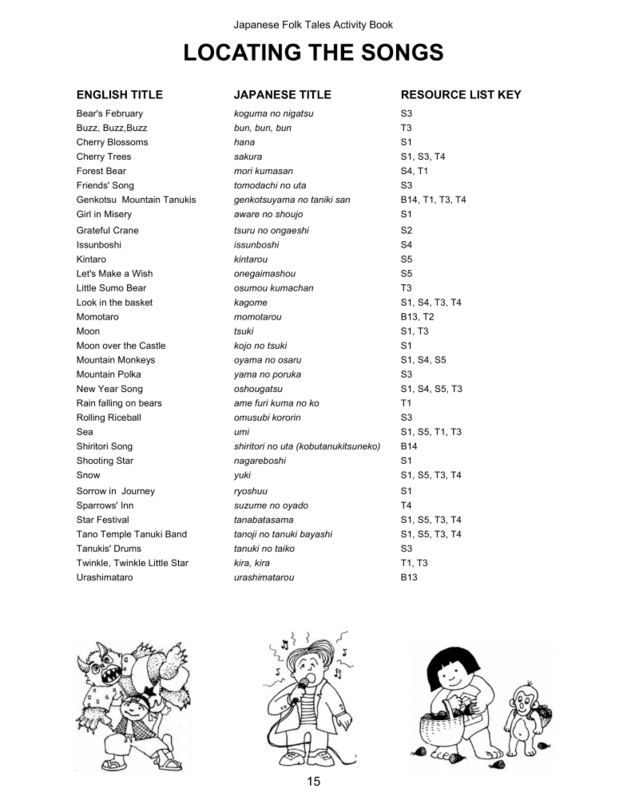 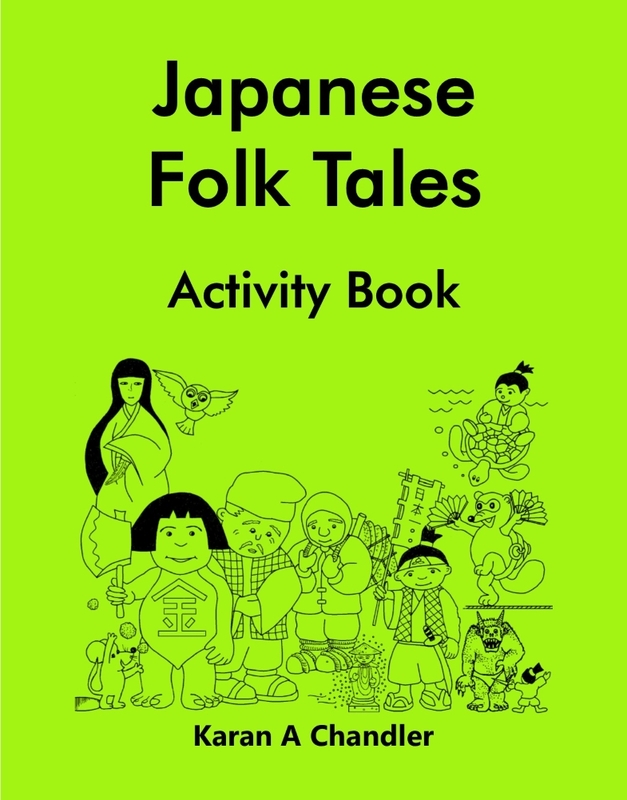 Japanese Folk Tales Activity Book provides teachers of both English and Japanese with literacy exercises for Japanese traditional stories. 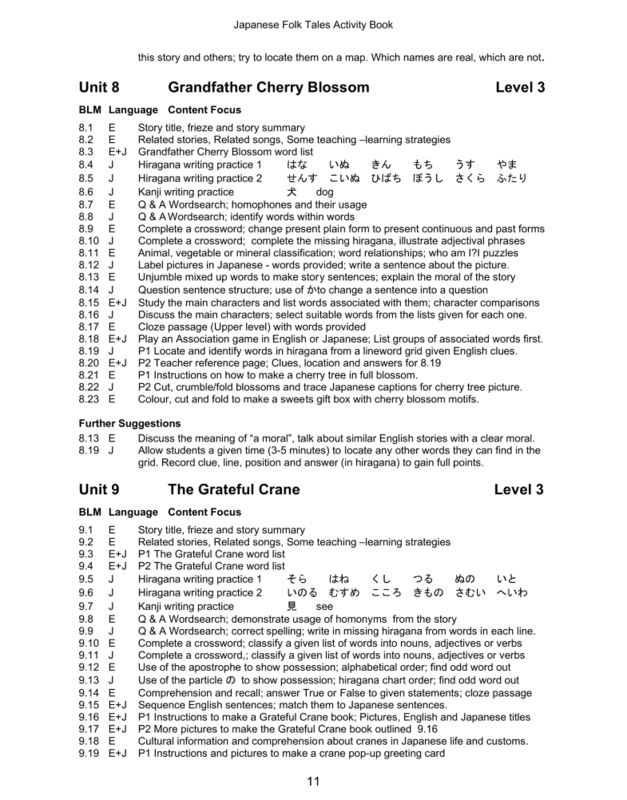 The general K-8 classroom teacher is able to support and follow-up/complement the Japanese teacher’s work (and vice-versa) while addressing English literacy needs. 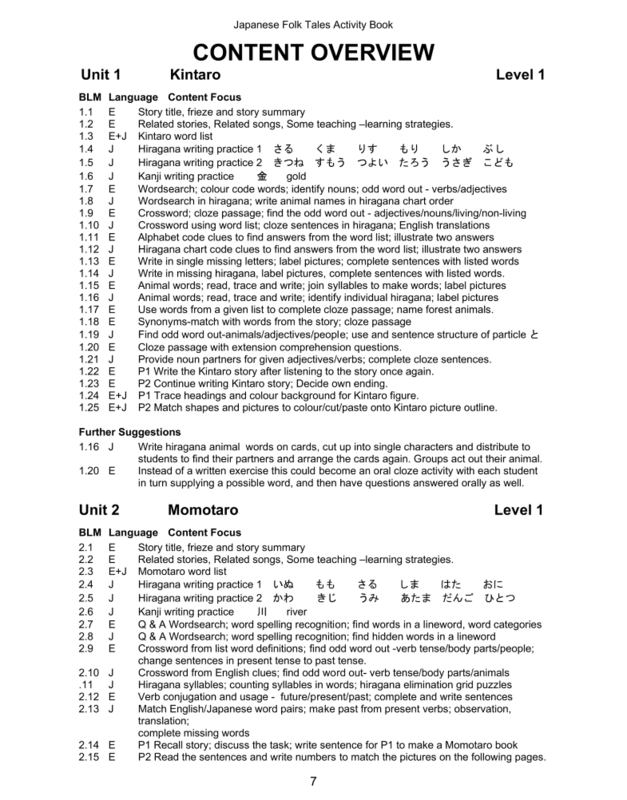 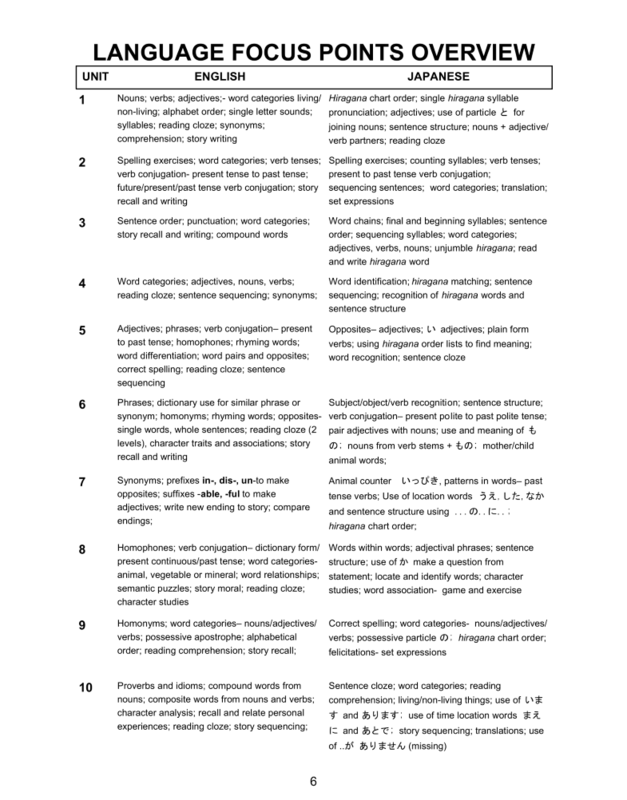 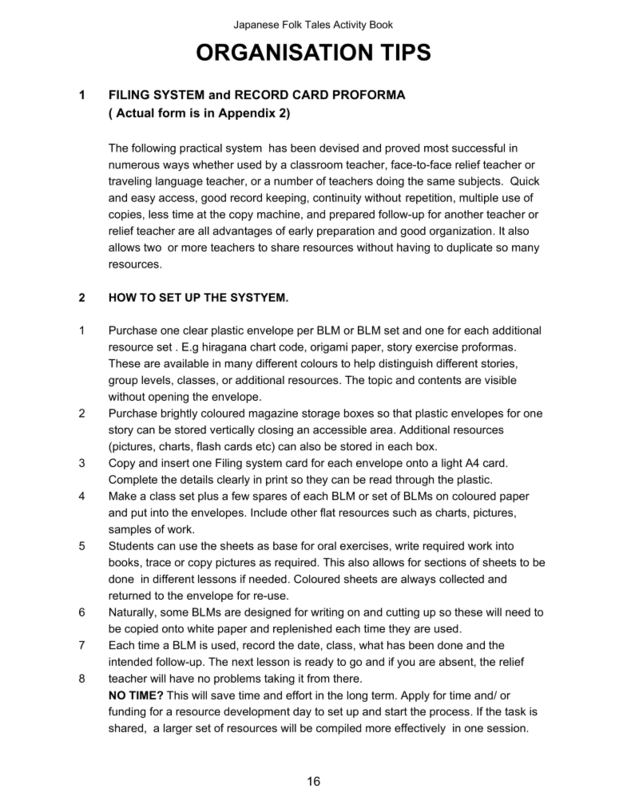 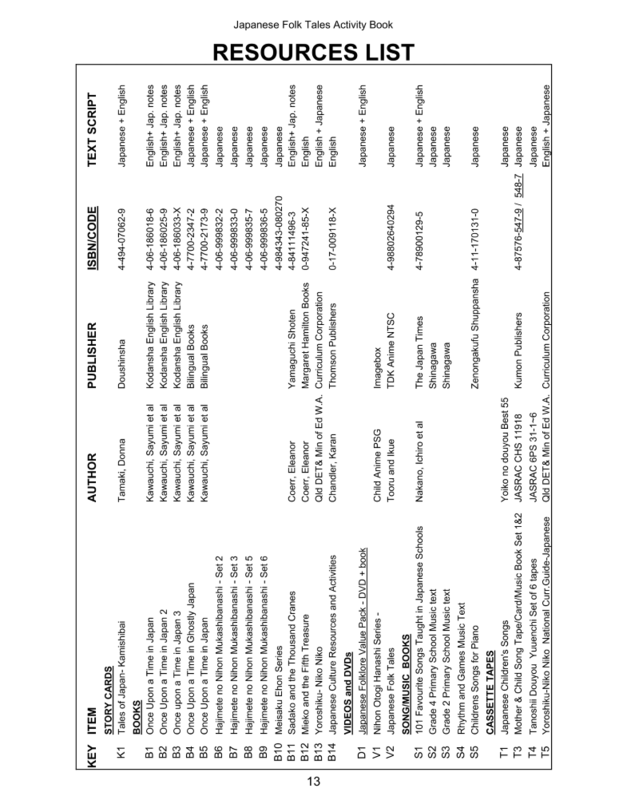 The focus is on enjoyment in literacy across all KLAs and incorporates culture, language, and literature in easy to use, graded exercises.